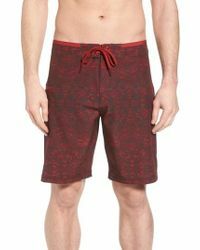 When it comes to Prana beachwear: Go bold or go home. 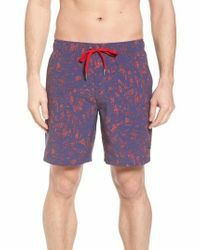 Known for its signature sediment stripes and abstract prints, the label doesn’t do shy. 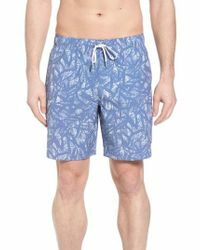 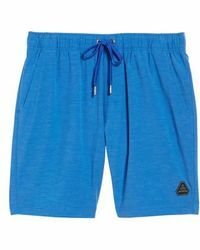 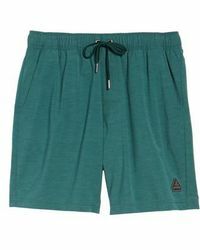 Boardshorts sit comfortably on the waist and end just above the knee, acting as a protective barrier from sun and surf. 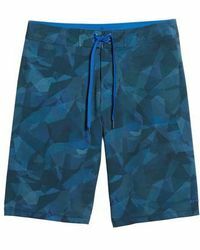 More likely to be playing in the pool? 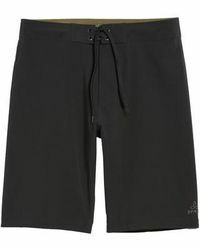 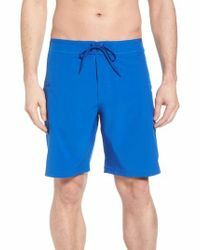 Look sharp in the brand’s quick-dry swim shorts with gripped elasticated waists instead.